Giving thanks. - Don't Be a Cow! My wish this Thanksgiving is for each of us to take the time to be thankful, giving thanks to what we have, our families, friends and colleagues. This is a very crucial part of living a lifestyle of happiness. In today’s society, with 24/7 contact with friends, family (and people we actually don’t even know) it’s easy to lose sight of all the things we have to be thankful for. In days past, when there wasn’t television, radio, and cars, you would seldom see the blessing of others. On the other hand, today with television and social media it is impossible not to see all the things we may feel we are missing out on. Half Full. Half Empty. Or is it simpler than that? Is what we often call pessimism. Yet this is the same attitude when we desire the good fortunes that others seem to have while ignoring our own blessings. Understand that often we may not necessarily want exactly what other have, but it can leave us with the feeling of wanting more than we have. Having a glass half empty! 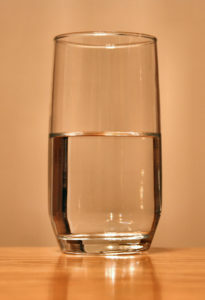 Is the saying of the optimist: however, is the attitude of being thankful for the half of glass of water that you do have ? (What? Finish the thought … and I added this: We all face obstacles. However, how we handle those obstacles can make all the difference in the world. After all, maybe it’s simply a half a glass of water. And be thankful for that! Remember in life, one of the very few things you can actually change is your attitude. My holiday wish is that we all devote just a few seconds every day to be thankful. And, to see your glass half full. In doing so, who knows maybe in just a short while your glass will fill to the tippy, tippy, top. Starting on Thanksgiving Day spend just a few seconds to write down one thing – and only one per day – that you are thankful for. Do this through the end of the year. A 41-day list. (Yes, just until the end of this year!) You can do this. And please feel free to share. To start the ball rolling: I’m thankful to all of you who read this blog especially those of you who send me comments. 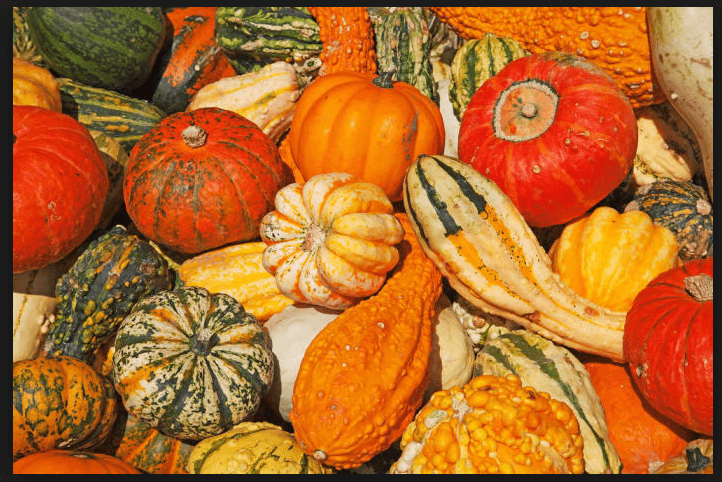 https://dontbeacow.com/wp-content/uploads/2018/11/Pumpkinsatmarket.png 482 722 George and Rachel Barker https://dontbeacow.com/wp-content/uploads/2018/01/DONTBELOGO_RED-2.png George and Rachel Barker2018-11-20 20:33:432018-11-21 20:34:02Giving thanks. Sign me up for George's insights to happiness!